of the freshest available ingredients. into lively animal shaped ones. 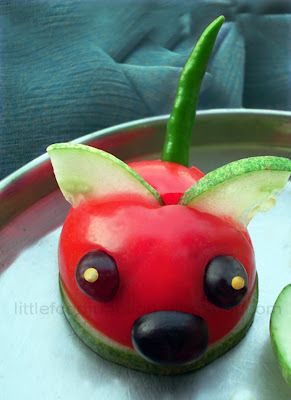 This is happy art with food as the medium! That Mighty Mouse looks mighty yummmm!